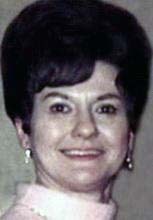 WATERLOO - Maureen Joyce Albertsen, 82, of Waterloo, died Saturday, April 21, 2012 at Ravenwood Nursing & Rehab Center. She was born March 2, 1930, in Waterloo, daughter of Jennings and Vera Benson Peterson. She married Warren W. Albertsen on April 29, 1972, in Waterloo. He died March 24, 2011. Mrs. Albertsen worked for Rath Packing Co. for 11 years and later was the human resource director for Kmart for 20 years until retirement. Survived by two granddaughters, Lori (Tom) Harvey and Christine (Ryan) Mullen; four great-grandchildren, Craig and Hannah Harvey and Kody and Faith Mullen; and her Boston terrier, Polly. Preceded in death by a son, Craig Curran; her parents; and her first husband, Roger Curran. Services: 1 p.m. Monday at Trinity American Lutheran Church, with burial in Waterloo Memorial Park Cemetery. Visitation from 5 to 8 p.m. Sunday at Hagarty-Waychoff-Grarup Funeral Service on West Ridgeway and for an hour before services Monday at the church. Maureen lived in Waterloo all her life except for short periods at her and Warren's condo in Florida. Her and Warren's first home was on South Hackett Road before moving to their home on Loma Street where they lived for over 35 years. They had a few dogs during their life together, a poodle, a schnauzer and two Boston terriers. Condolences may be left at www.hagartywaychoffgrarup.com .